The automotive industry is competitive and the luxury segment is more competitive than it was ever before. 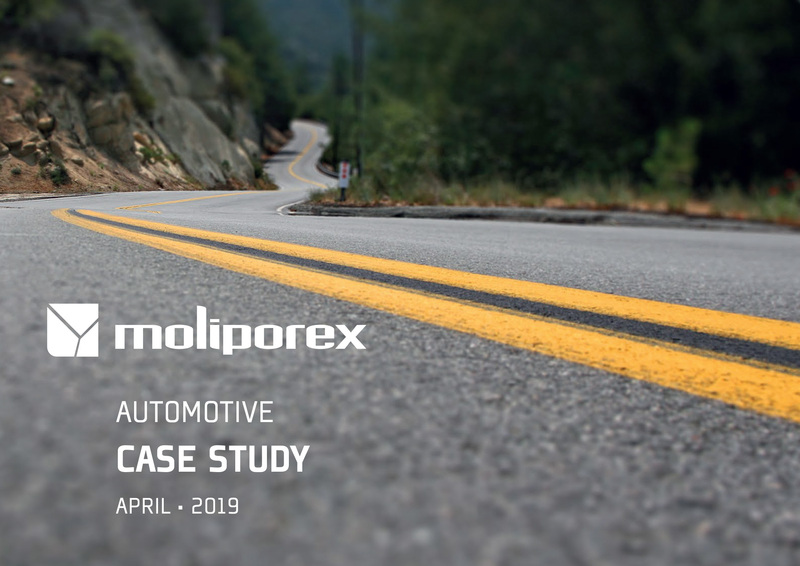 Competence remains an indispensable element of success in the industry especially with an era of artificial intelligence and connected mobility making a significant impact. 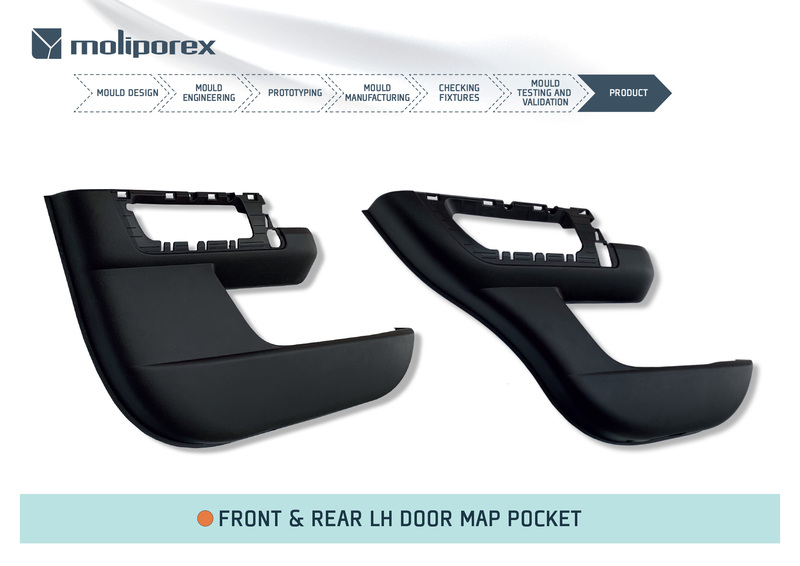 The trend is towards the future and vehicle design specialists are increasingly designing complex parts and mechanisms to give drivers and passengers the best experience. The only way to support this very exciting wave of change in the future of mobility is to develop skills that can employ the latest technology in its best possible form and to deliver “a class apart” results. 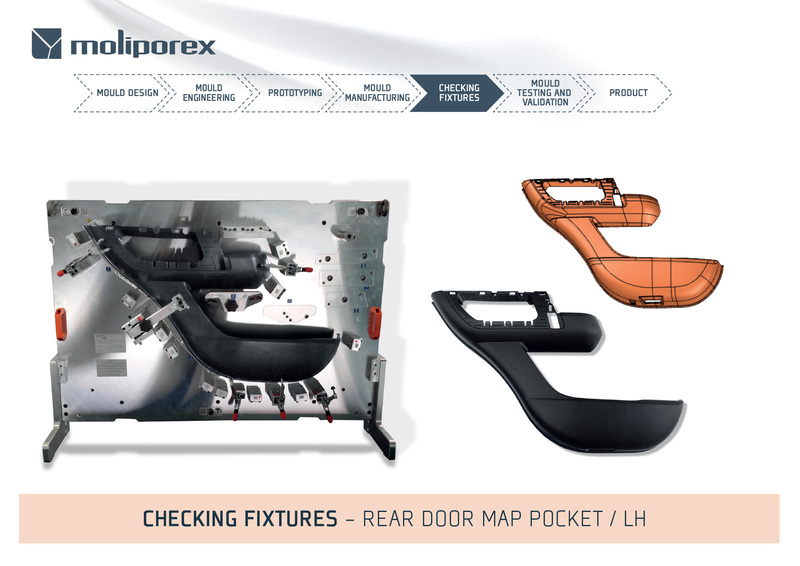 Moliporex, the mould making company in the VANGEST Group, took the challenge to develop a cluster of moulds for the latest generation of a 4X4 luxury sport SUV in Europe. 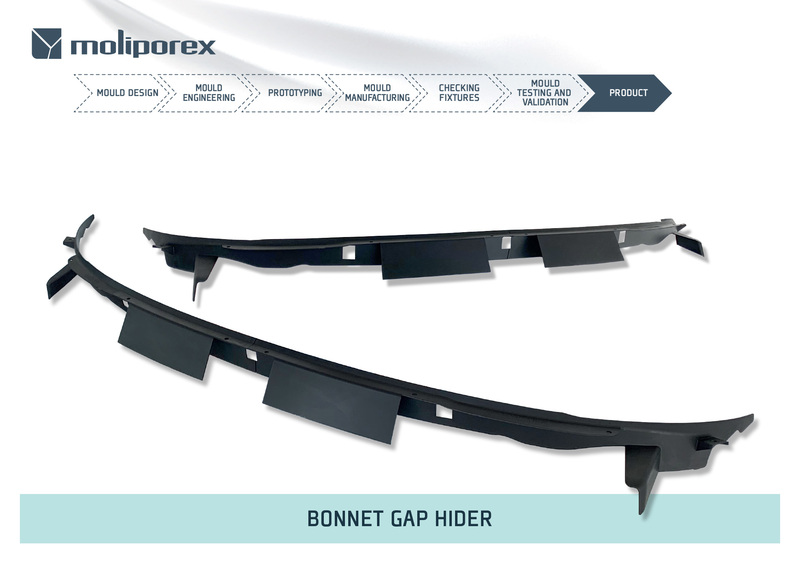 The project included high appearance requirement for the interior door panels, and also the bonnet gap hider. The tools for the cluster were designed, engineered, manufactured and tested in our state-of-the-art facilities with our highly skilled team. 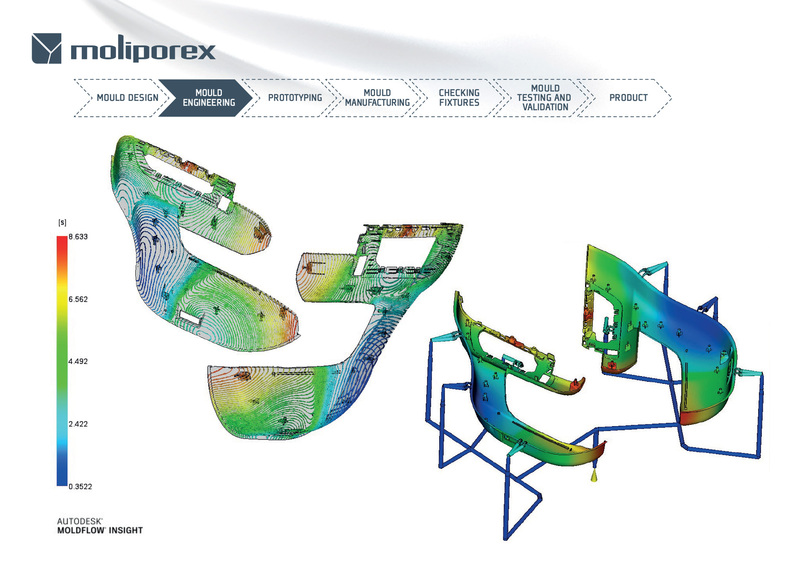 Through detailed in-house engineering analysis, few optimization loops through Moldflow simulations determined the optimum solution for construction of the moulds to guarantee the desired results. 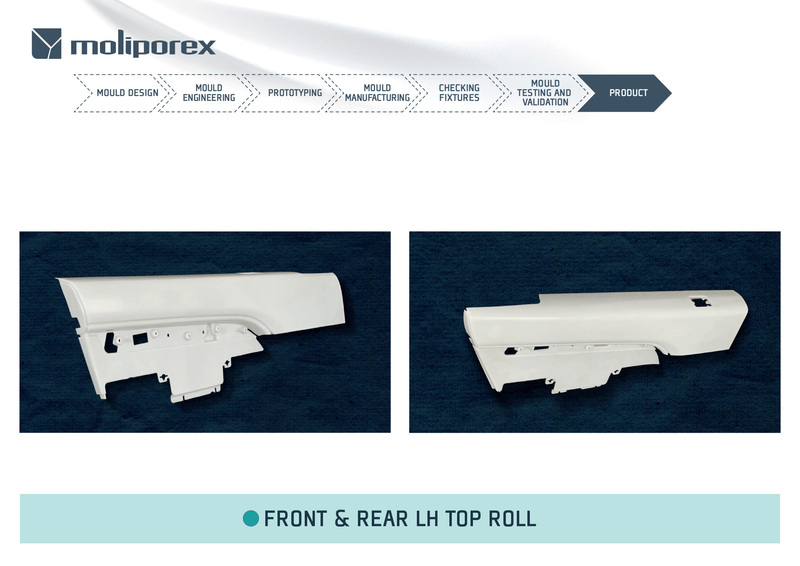 With our highly flexible and high precision machining facilities, Moliporex brings every complex design to reality. We test all the tools at our in-house testing and validation center with the capacity to test large range of injection moulds. 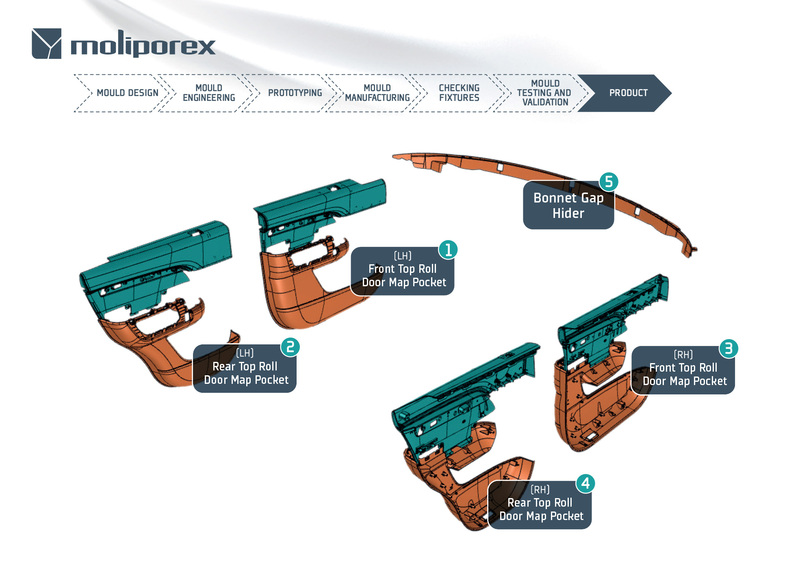 We were able to replicate the mass-production conditions during all needed validation tests. Development of complete set of quality control checking fixtures at our CF development facilities was another highlight of this project and enabled our client to evaluate the parts on site. Integrated solutions under one roof is yet another BIG advantage of the VANGEST Group, that makes us a preferred choice for our clients. We continue working HARD to bring the very best ideas and results to our clients.